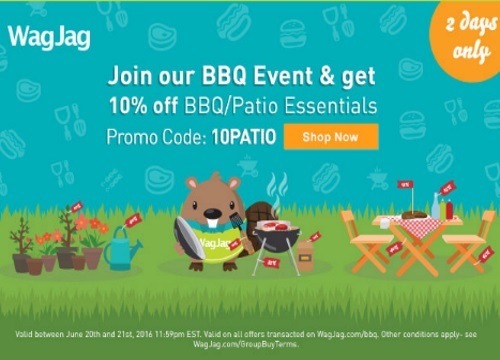 Wagjag has a 2 Day BBQ Sale! for two days only! Save an extra 10% off bbq and patio essentials with the promo code below! Enter the promo code 10PATIO at checkout. Offer is valid on deals at the link below only. Offer is valid June 20-21, 2016.